For thousands of years, the ConFed has been the most powerful force in the quadrant. 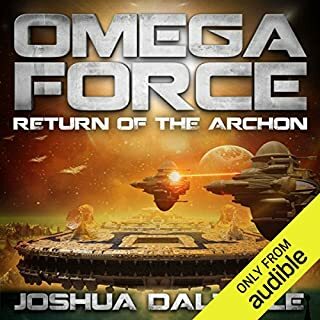 It is the umbrella under which hundreds of planets and trillions of beings live in relative peace...despite the corruption and waste, it's a system that most accept as preferable to the chaos that would ensue in its absence. 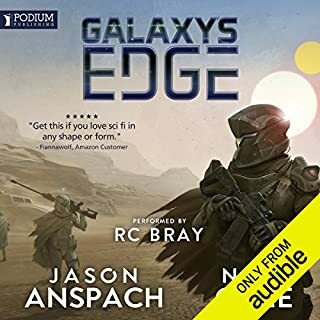 Rumors have swirled around about the demise of the ConFed for as long as Jason Burke had been in space, a lone human among countless alien species. He largely ignored them...until now. 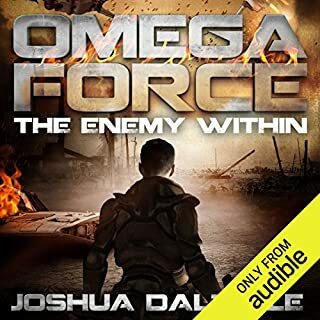 For the first time since any of the members of Omega Force can remember, someone may have figured out how to destroy the ConFed without directly engaging its powerful military. 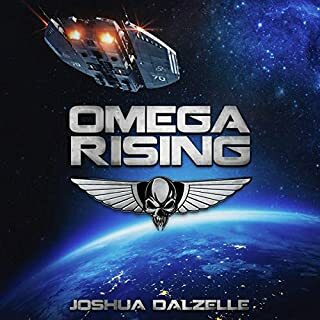 As one crewmember's past seems connected to the current trouble, Jason must decide what side of the fight he's on...let the ConFed die and plunge the quadrant into chaos, or swallow his pride and try to help an institution he despises maintain its power for the greater good. 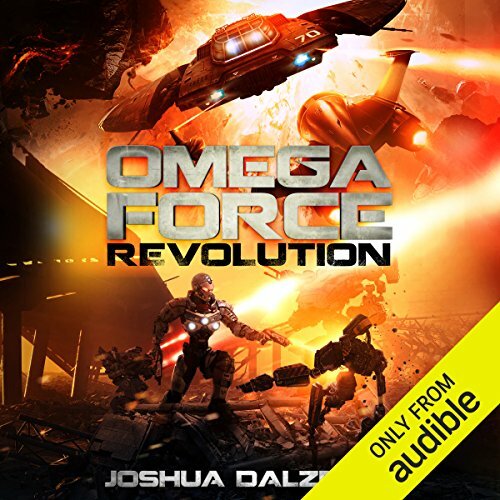 ©2017 Joshua Dalzelle (P)2017 Audible, Inc.
Dalzelle continues to create these impressive stories, even after 8 books, the 9th was just as good, if not better. Something is trying to destabilise the Confed, or more importantly the Confed banking system. 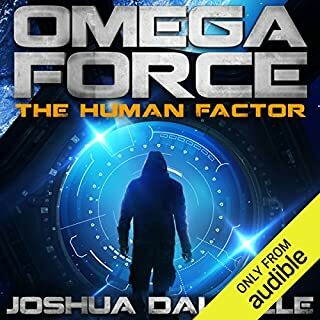 Whilst Omega Force has no love for the Confed, they understand that the removal of this organisation will be disastrous, as potentially bring down the Confed and see billions or trillions of lives at risk, and dozens of worlds at risk with no support from the Confed fleet. Jason sees no option but to try and work out what is going on. 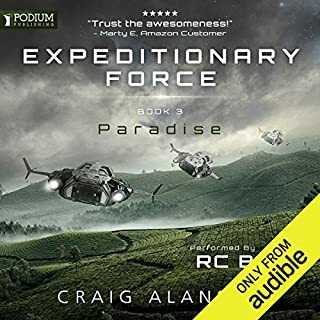 This leads to a rather interesting mission, and a series of trips all over the galaxy as they hop from place to place trying to work out what has happened. 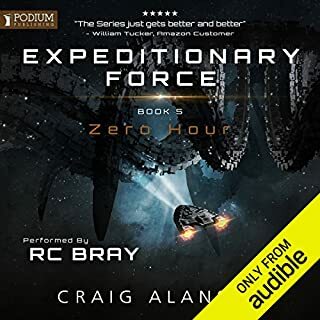 As usual, this leads to various ‘interactions’ for the crew and as the story progresses, there is a lot of fun, antics and action as they try and try and piece together what is going on. This is what makes these books so great. 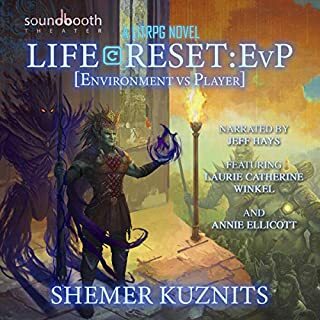 The collection of misfits in the crew are unlike anything else, but at the same time, they also remind me (and others) of a lot of the brilliant shows/books from the past and present (No I'm not going to start listing them, there are too many). One of the things that I think made this book the standout for me personally, was the start of the book, as well as several other bits where we get to learn a lot about Lucky. In this episode, we actually learn how he was created, why he is like he is, who made him, what he is, when and where he was made, and the reasons for not just his senescence, but for his conscience as well. 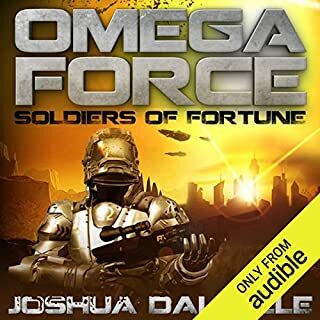 It made this a truly fascinating listen, and Dalzelle has spent a lot of time developing this story line to make sure that it is not just exceptional, but that it honours both his listeners/readers and Lucky himself. This is what makes him such a great character writer. There was some storyline in relation to Cage and Jason as well, as well as the Ship, which got a complete overhaul, but Lucky was the main star of this book. We also get to see a lot of other battlesynths in action this time around, which added an extra bonus to the book as well. 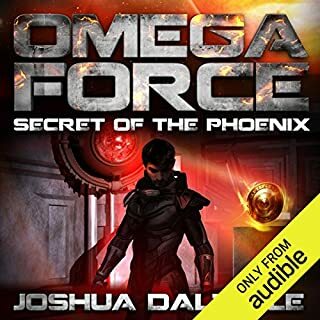 Overall, as I said earlier, this was a fantastic listen, and Dalzelle continues to show why he is such a brilliant author and why this is such an exceptional series. 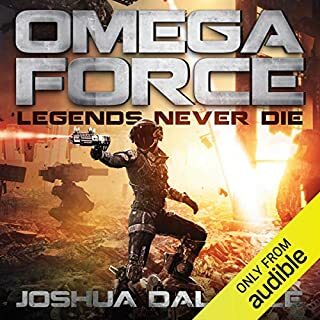 If you are a fan of the series, you must listen to this for the Lucky info, and if you haven’t, then get the first one – I guarantee you won’t be disappointed. 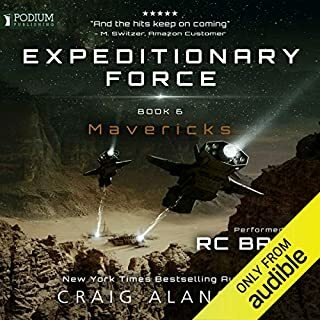 Neck and neck with Expeditionary Force and Bobiverse as this audiobook junkie's best ever space series, I have to give the ultimate nod here, if you consider everything - Story, character development, best mix of humor/conflict/communication/drama, narrator/ consistency. Most importantly - As soon as I begin each book, I am immediately comfortable with the crew, with each being uniquely identifiable. 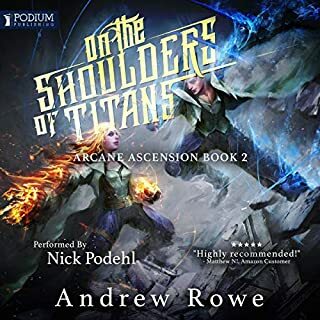 Each section of each book is its own unique adventure. This series doesn't suffer from the usual tendency to fill in between predictable battle sequences. 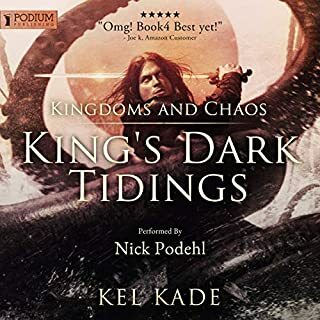 I have really enjoyed this entire series of books. this particular story was a little hard to follow . OMG. And how long till the next book??? An awesome series, the character development is outstanding. recommend the series to anyone. this group of Misfits grow on you over time. looking forward to the next book. 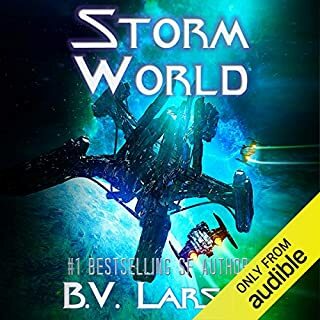 Good book, until the lazy plot device at the end. It reflects badly on the author, let's hope he turn's it into an interesting plot next book. 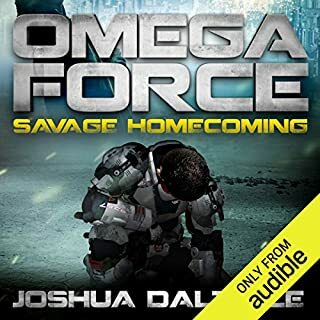 l enjoyed the latest chapter in tbe continuing Omega Force Adventure. 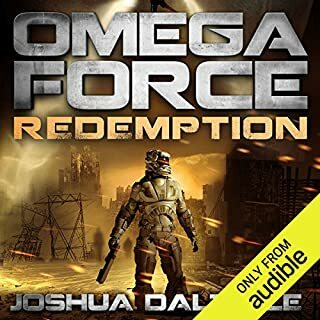 The narration was great as well. I had to listen to all in one sitting. becoming more of a story of intrigue, but more depth in the characters. keeps getting better!